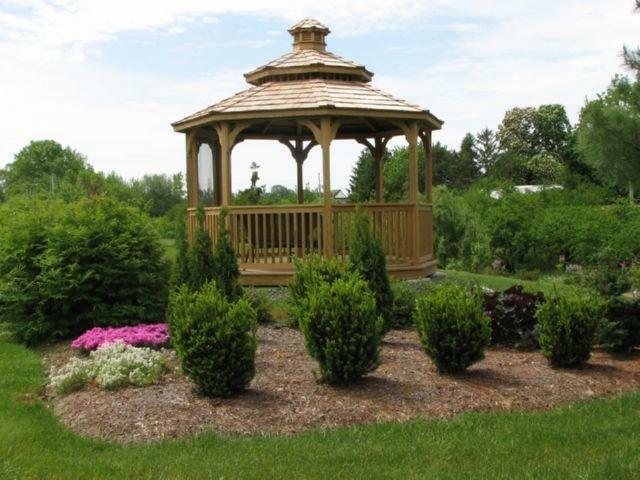 Gazebos are freestanding or attached to your garden wall, roofed, and open on all sides; they provide shade, shelter, ornamental features in a landscape, and a place to rest. 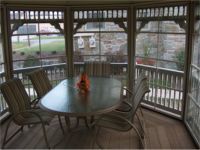 Use a gazebo for an extra den, dining room, or living room and perfect entertaining space for your family. In public parks are large enough to serve as bandstands or rain shelters. 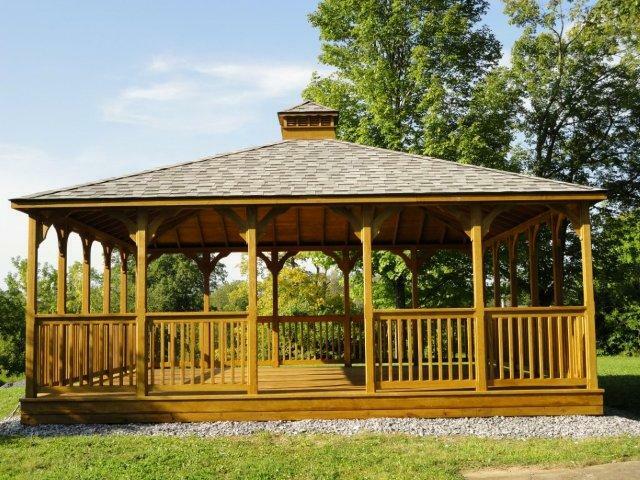 Beautifying your backyard, pool, water front property, or park with a top quality gazebo, pavilion or pergola is a great way to get the most enjoyment for your investment. The problem is, there is such a wide array of quality and prices, it takes hours of research to make sure you’re getting an outdoor structure that will be both beautiful and durable. We strive to make this easier for you and encourage you to use this site to guide you toward the best decision. Select this link for prices & more informationour pavilion designs combine style and function to increase your enjoyment and add to the beauty and value of your property. They can be very simple or quite elaborate to suit your taste and budget. Perhaps just a small overhang to cover a barbecue area, or something to cover your entire patio area. Maybe you’d like to be able to use your hot tub more and reduce maintenance. How about someplace for a swing or outdoor furniture. 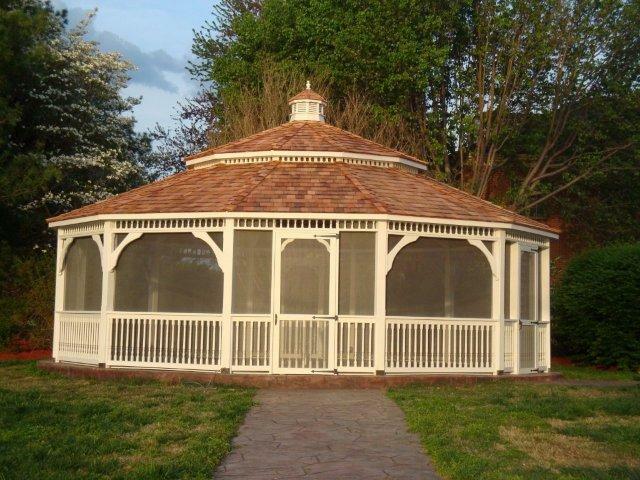 Vinyl Gazebos :No painting, no staining, and tremendous durability. Vinyl Gazebos make up over half of our sales today. While the initial purchase price is higher, the 10 year cost is most definitely lower if you factor in the cost of two stain or paint jobs. Wood and Vinyl Pergolas, Pergolas, along with your choice of hanging plants and vines, can be the perfect accent to your outdoor space, depending on what’s most important to you. You can place some patio furniture there where you can go out and enjoy your morning cup of coffee, or a relaxing drink in the evening. 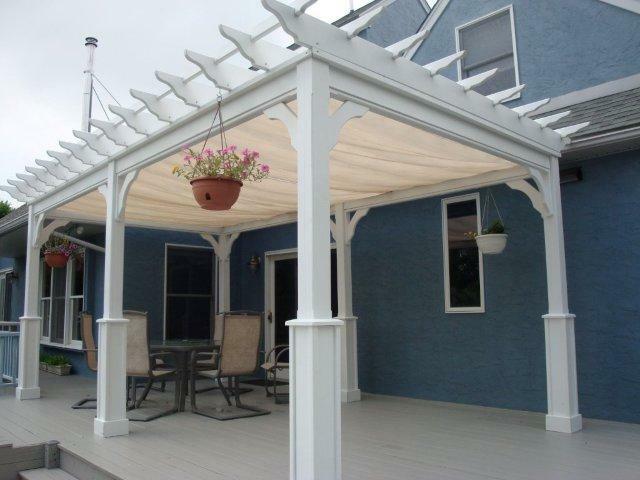 You can do the same thing in a pavilion or gazebo, so why a pergola? Wood and Vinyl Pavilionsour pavilion designs combine style and function to increase your enjoyment and add to the beauty and value of your property. They can be very simple or quite elaborate to suit your taste and budget. Perhaps just a small overhang to cover a barbecue area, or something to cover your entire patio area. Maybe you’d like to be able to use your hot tub more and reduce maintenance. How about someplace for a swing or outdoor furniture.